Hip & trendy at the beach. Let´s Twist again. There are a lot of ways to enjoy yourself at the beach. You can play beach volleyball, swim, bury people with your bucket and shovel and lots of other things. 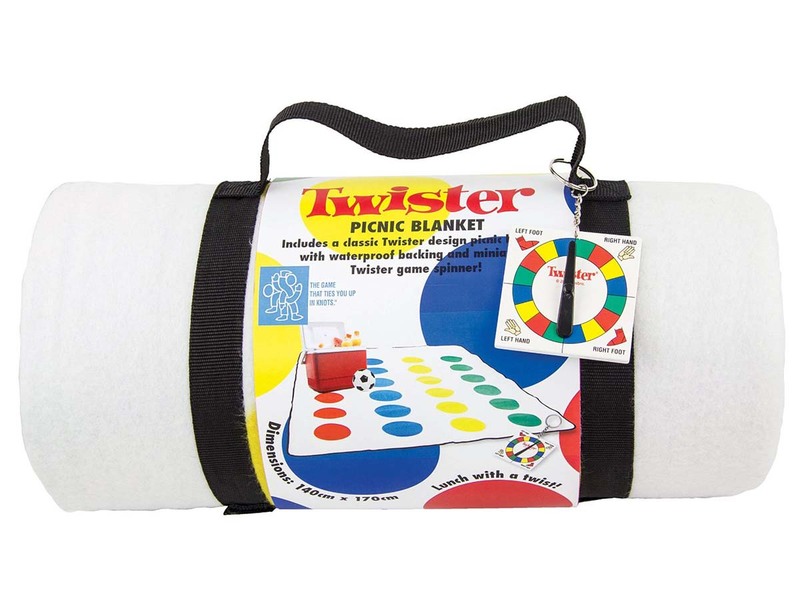 The Twister beach blanket is a must. 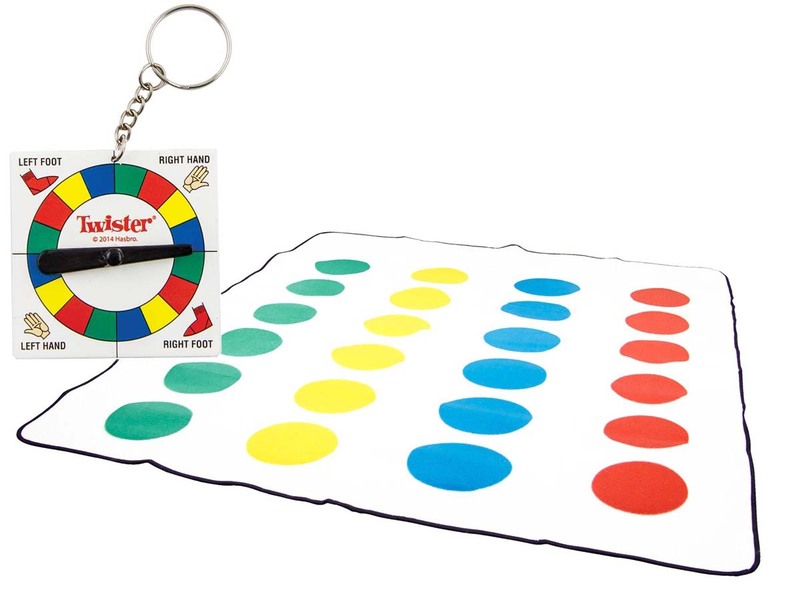 From now on, you can invite everyone to your Twister Beach Blanket. Fun guaranteed! This brilliant version of everyone's favourite 'oops, sorry ma'am'-game is perfect for any picnic, pool party or a day at the beach. Exactly in all those places where you’ll find your fellow players walking around in bikinis, so... (for those of you who hadn't thought of this yet, shame on you!). You've guessed it. Before you know it, all players will be caught up in a knot of body parts and the game will turn into a challenge of finding the right balance between cramp, balance and trying not to burst out laughing. Whoever lasts the longest wins of course!